Since the release of Red Dead Redemption 2, it has been constantly receiving a lot of positive feedback and reviews from fans. And even though it offers many interesting things to do and discover in the game, fans are most excited for the release of the multiplayer mode. Red Dead Online is the multiplayer mode of Red Dead Redemption 2. While we don’t hear any new updates from the developer, Take-Two CEO, Strauss Zelnick has previously confirmed that the online feature is coming out at the end of November. According to his interview earlier this month, Zelnick has confirmed that Red Dead Online public beta is coming out before the month end. “It will launch in public beta towards the end of the month,” he said. No official release date has been mentioned, but with his words that it will be coming out at the end of November, means we only have a few days left before we finally get a chance to experience the multiplayer mode. Meanwhile, fans are getting more excited after seeing the alleged Red Dead Online leaked screenshot. 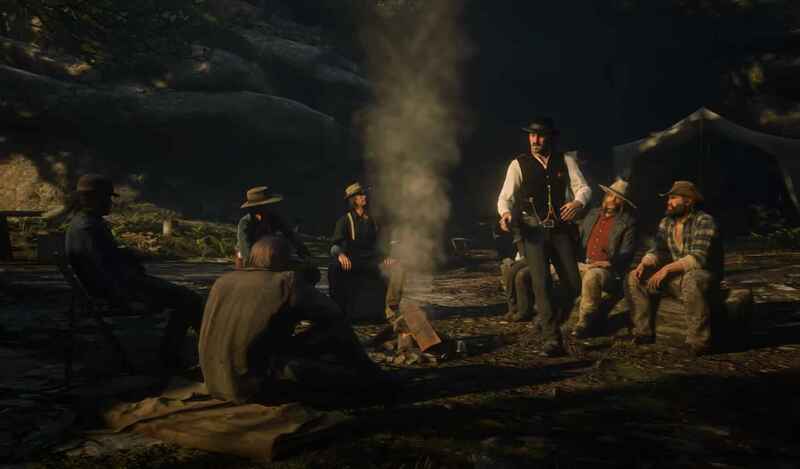 As usual, no feedback from the developer, but according to the source, the leaked screenshot came from the official Rockstar website.